Crunchy. Salty. Tangy. Naturally sweet. 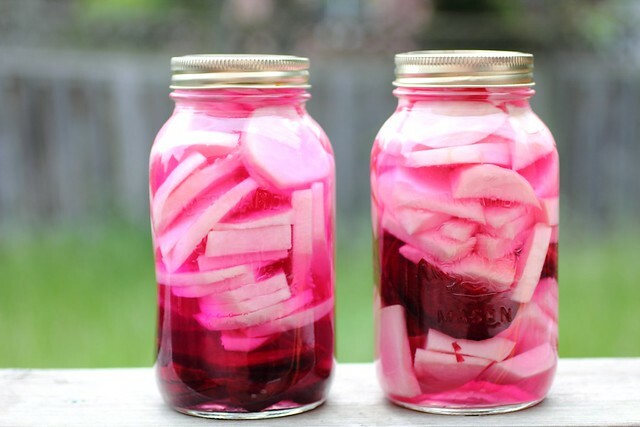 We could list how many ways we want to serve these beautiful pink turnip pickles. Unfortunately, we don't have enough space. Check out the recipe (in Arabic and English) for Pink Turnip Pickles on Adventuress Heart.